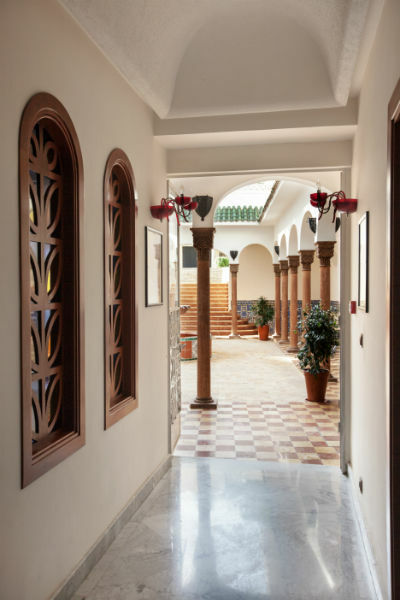 G H Villa de France Client Comments, Reviews and Testimonials. 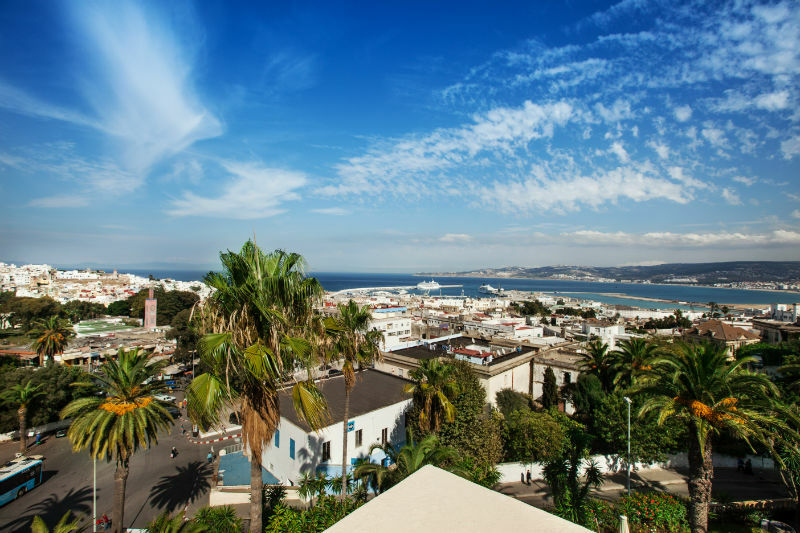 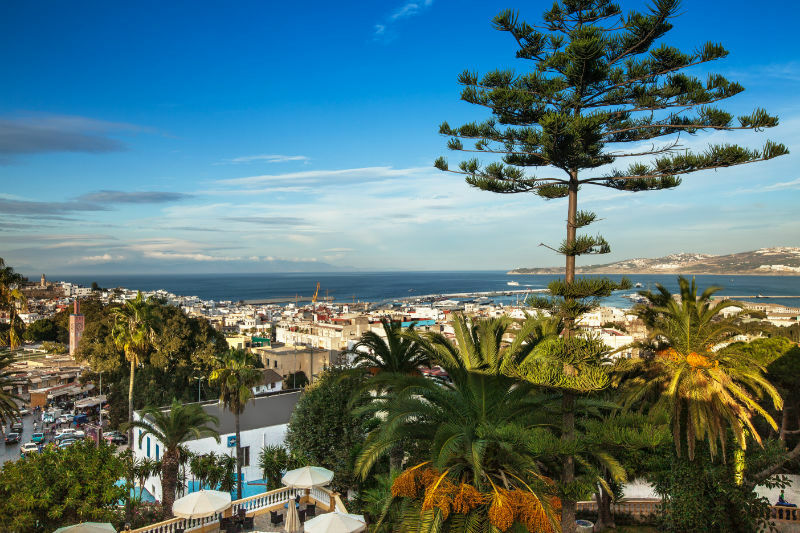 Book G H Villa de France Today with Hip Morocco - Holiday Accommodation in Tangier, Assilah & Chefchaouen, Morocco. 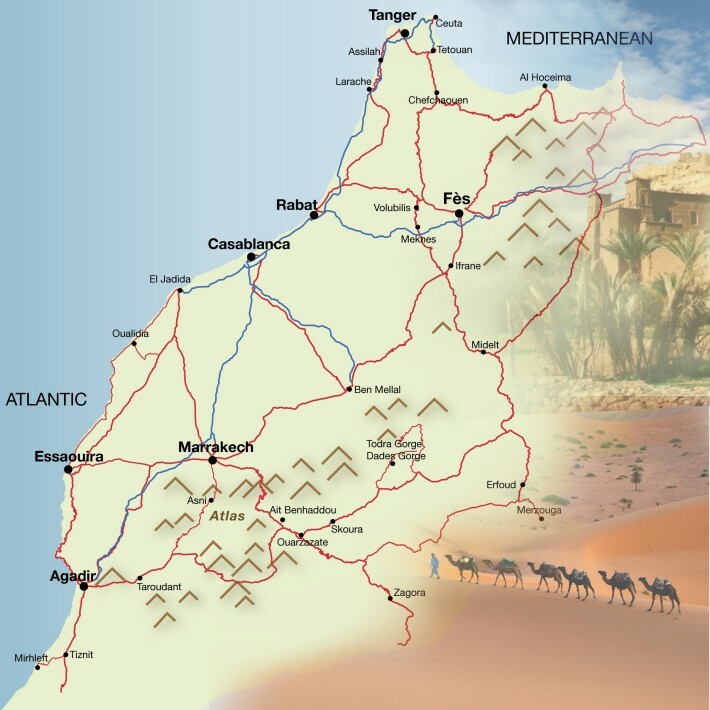 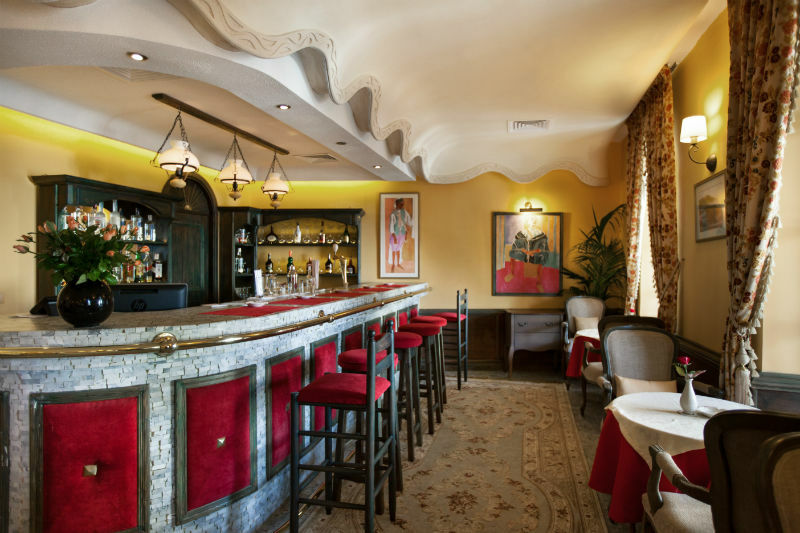 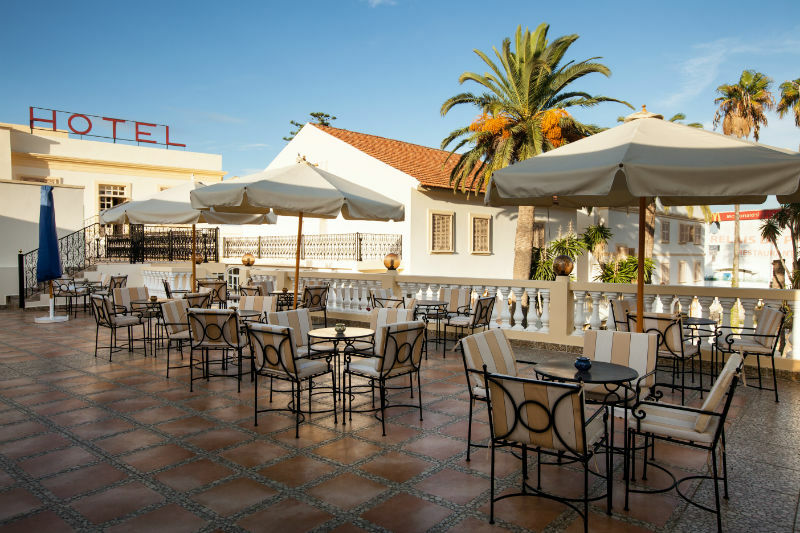 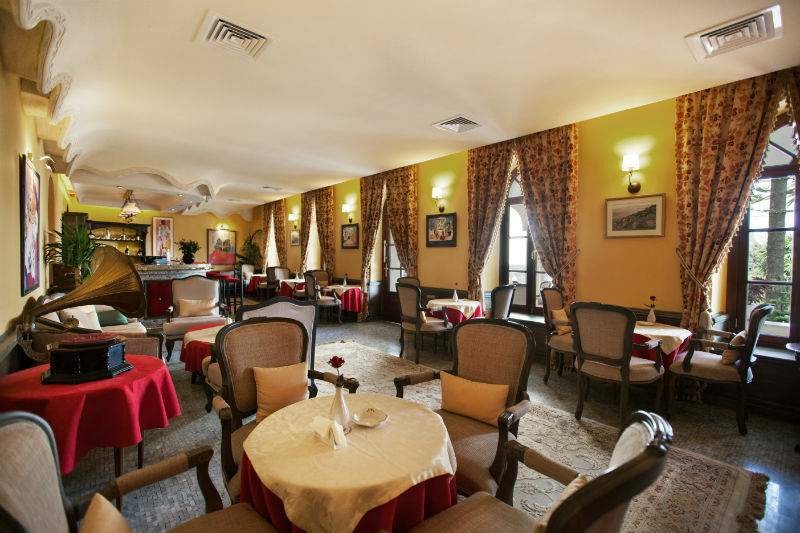 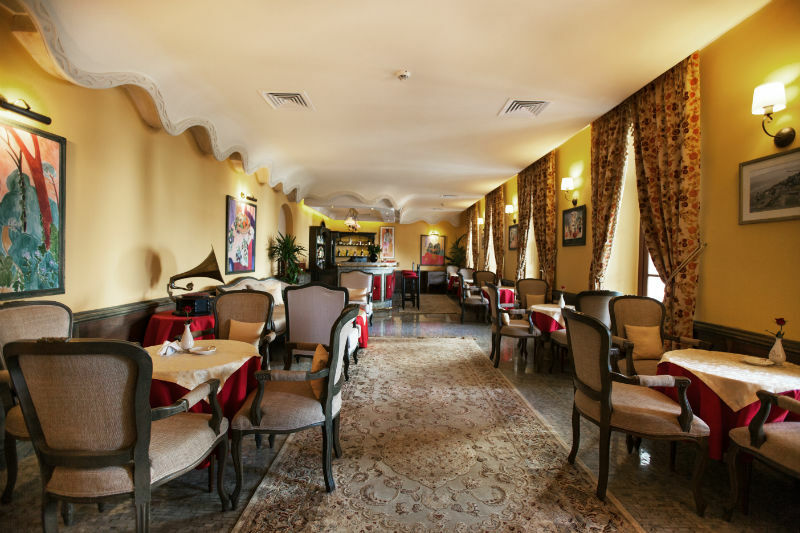 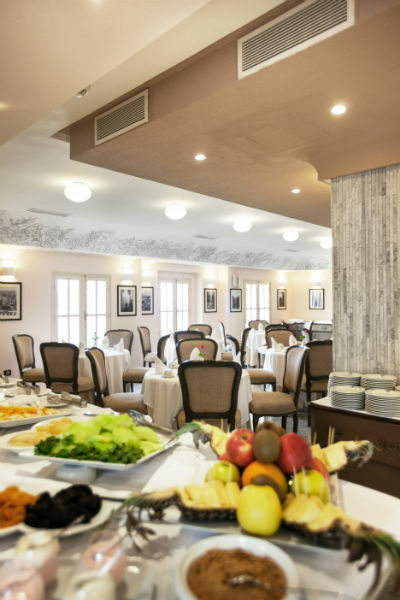 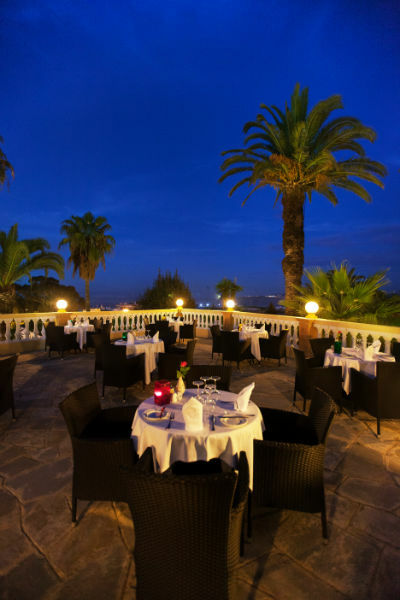 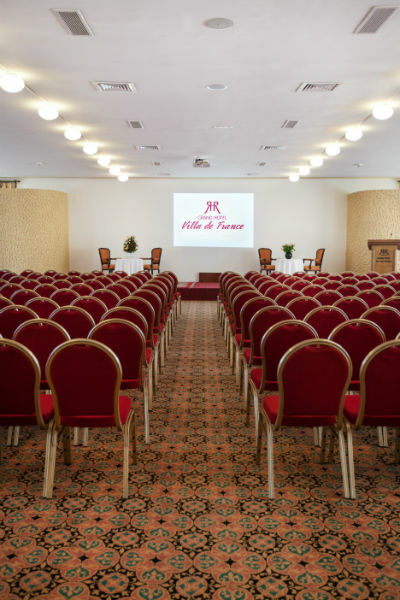 "5-star luxury hotel near Place de la Kasbah"
Saint Andrew, he witnessed the prestigious International Tangier evenings. 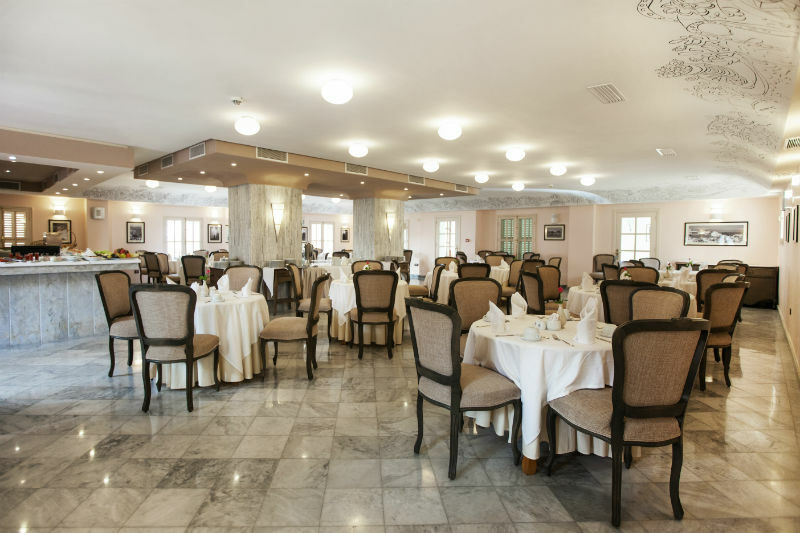 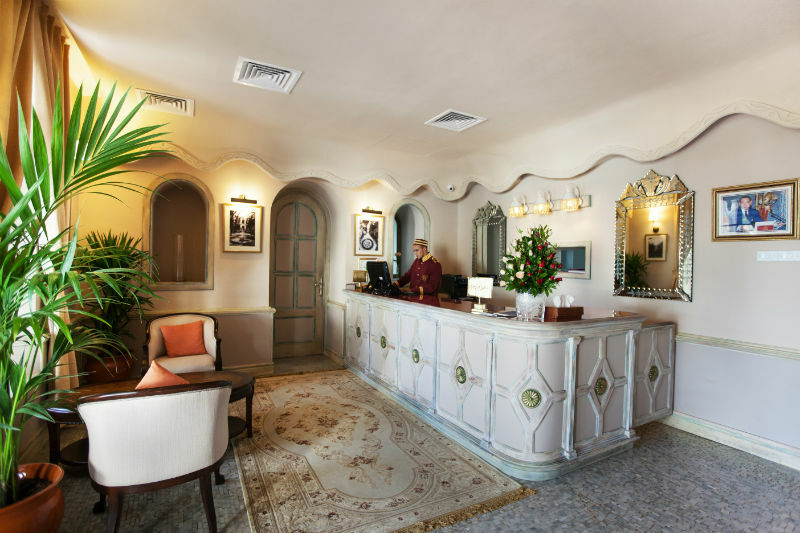 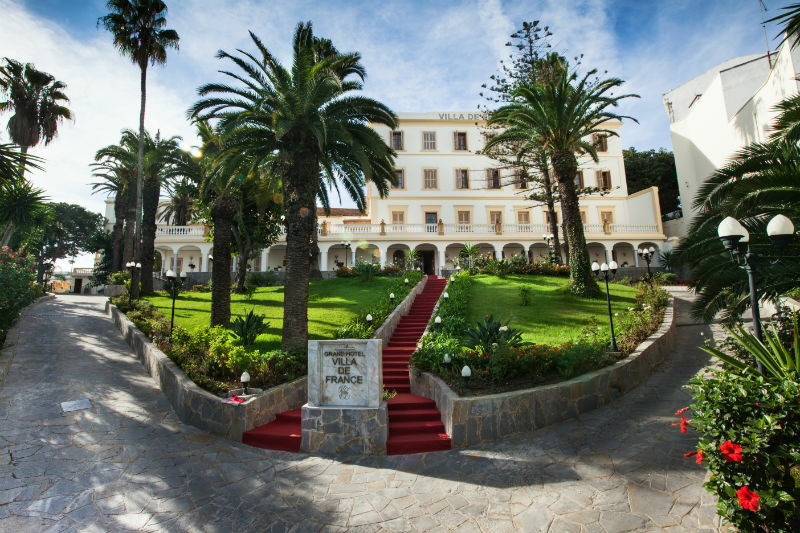 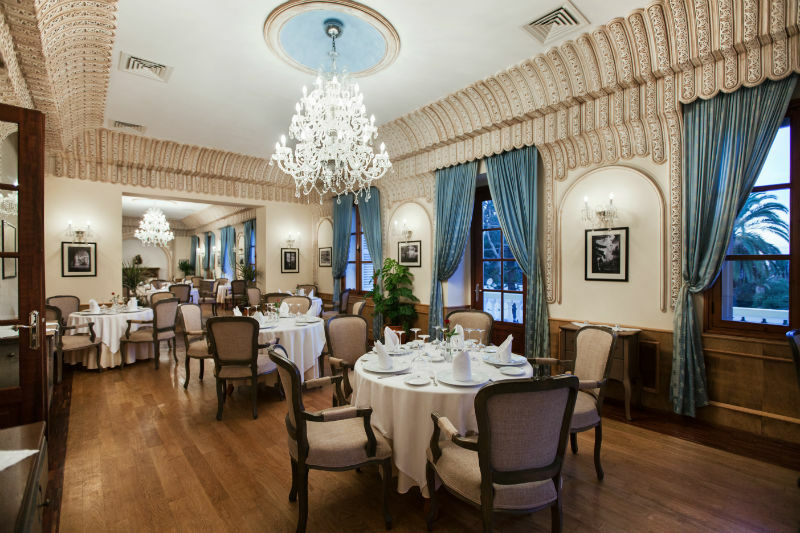 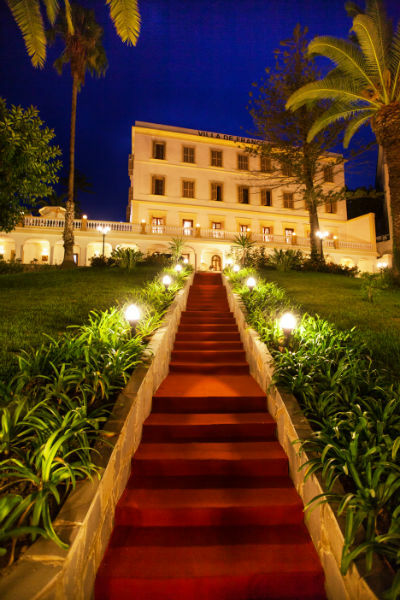 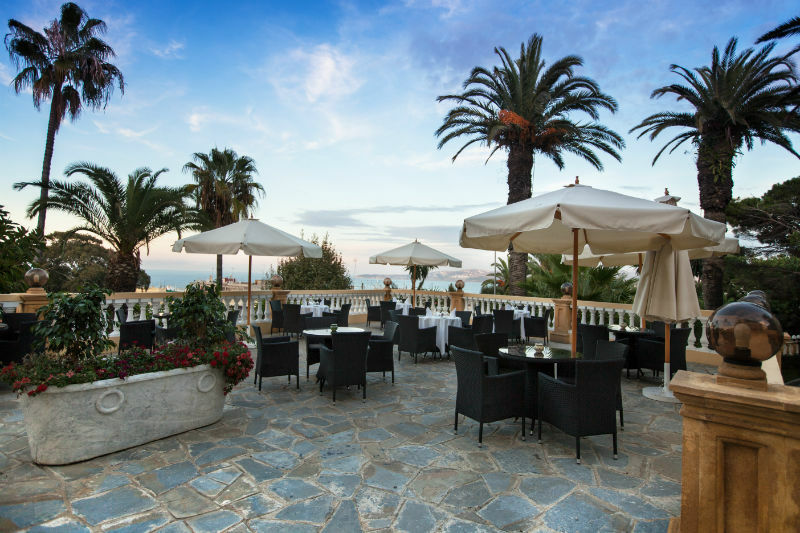 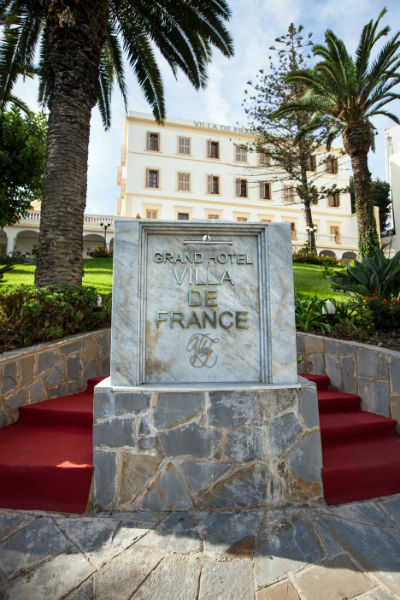 With its 58 rooms and suites, the Grand Hotel Villa de France offers a total escape for a pleasant stay. 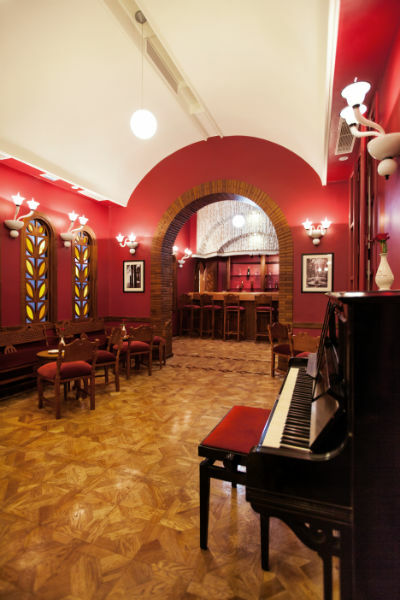 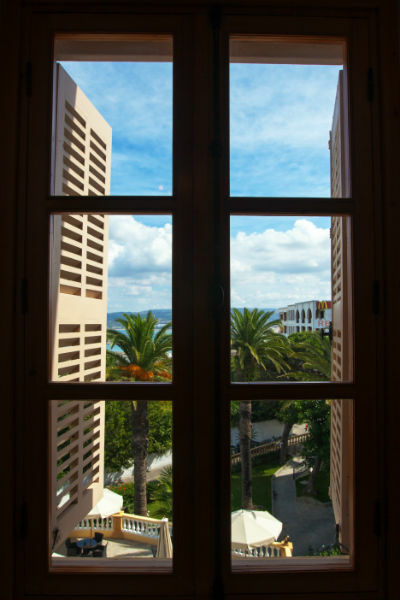 View of the medina or the Bay of Tangier, room n° 35 is a museum showing the living of the great painter Matisse and achieving his famous painting "landscape seen from a window"
“Piano Bar”: to enjoy light meals, sip your favorite beverage or just remember the splendor of the place and its history. 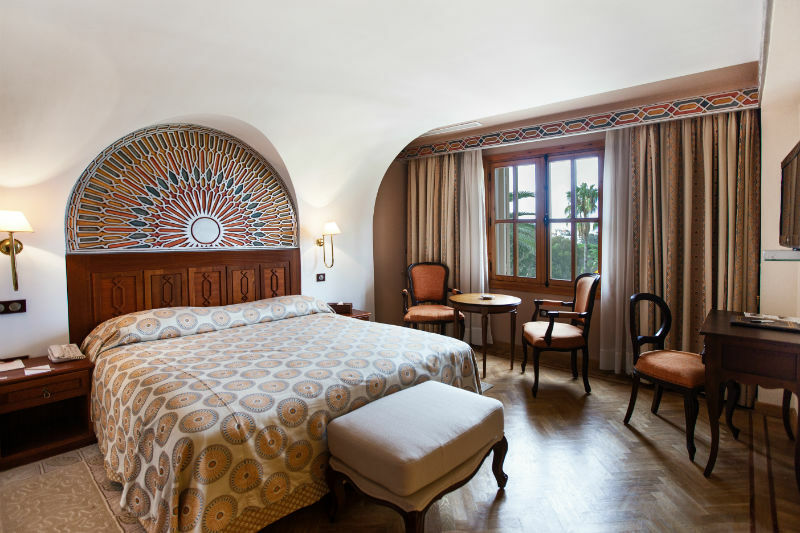 Enjoy the pleasure of a large single bed with a wood-sculpted headboard, as well as a wall mural by a well-known Tangier painter. 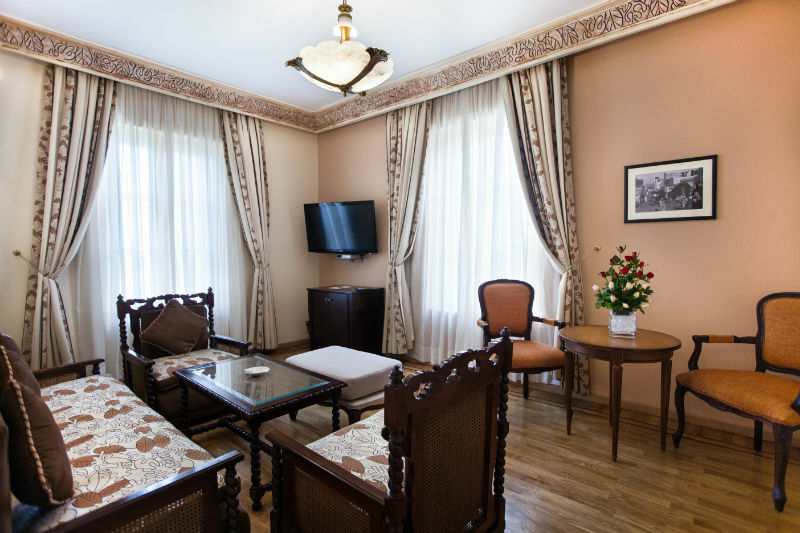 This room type also features an office area and a small seating area. 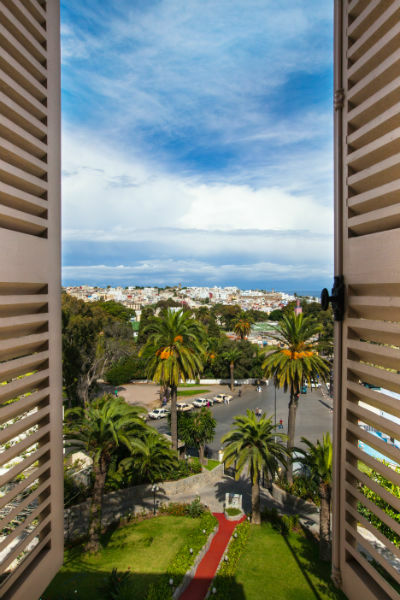 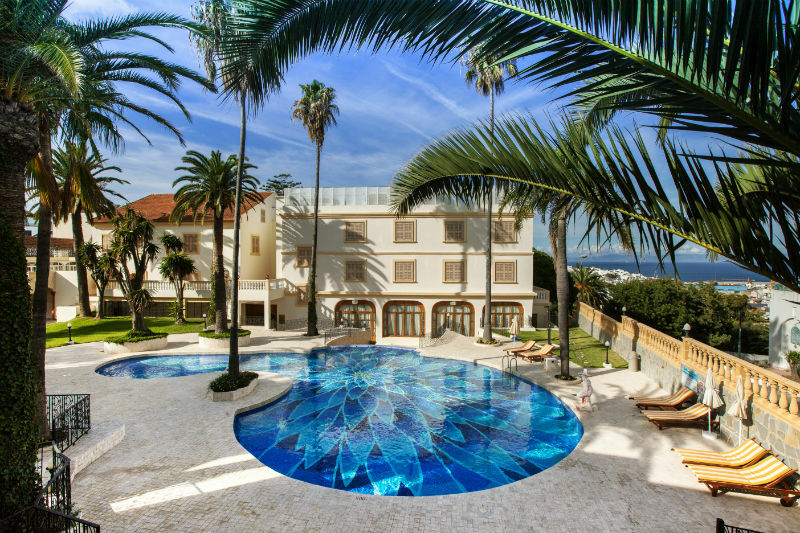 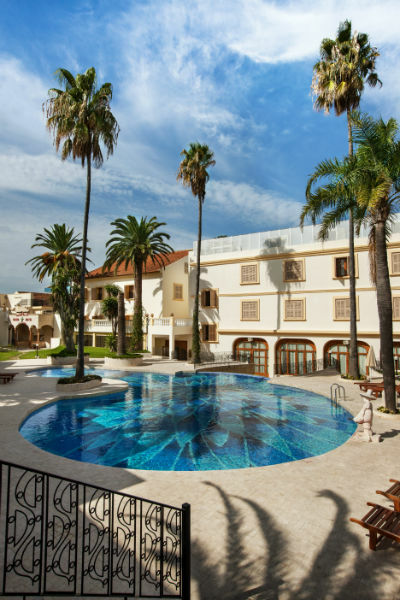 Superior rooms boast 25m2 of space and a large bed, offering an incomparable view to the Bay of Tangier or on the property's gardens and pool. 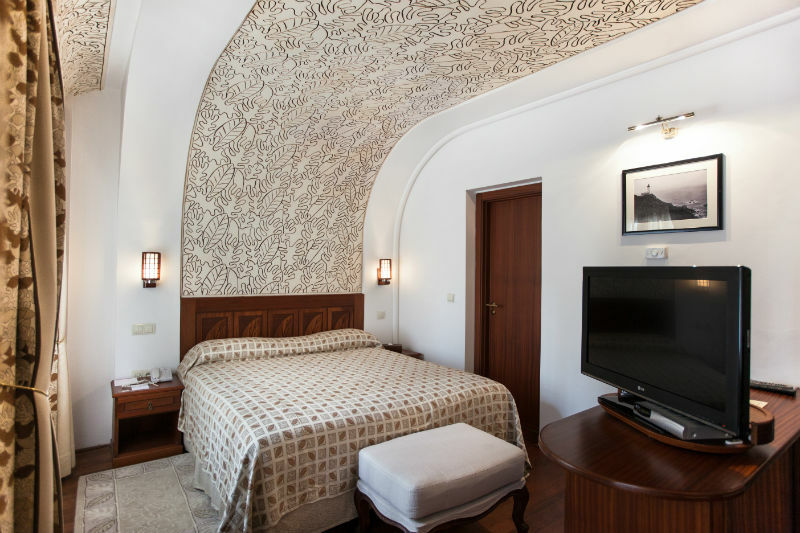 The bed's wooden-sculpted headboard and locally painted wall mural add to the elegant décor. 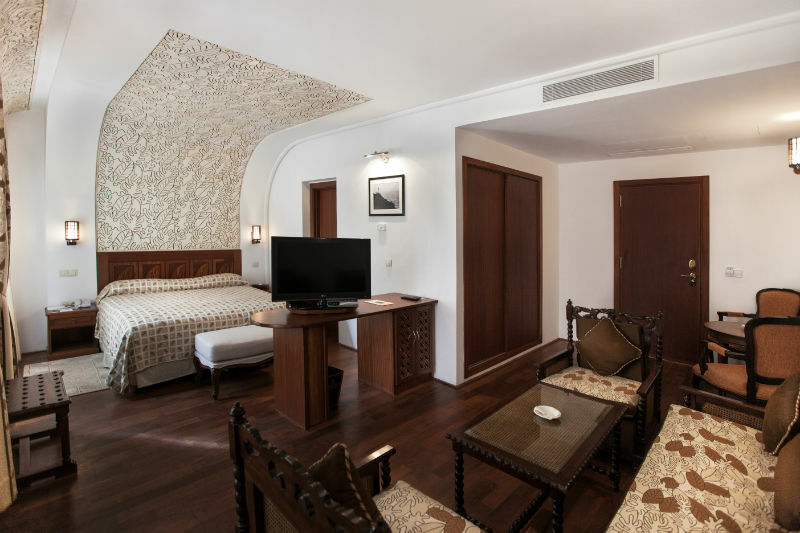 An office corner and a small seating can also be found in each Superior Room. 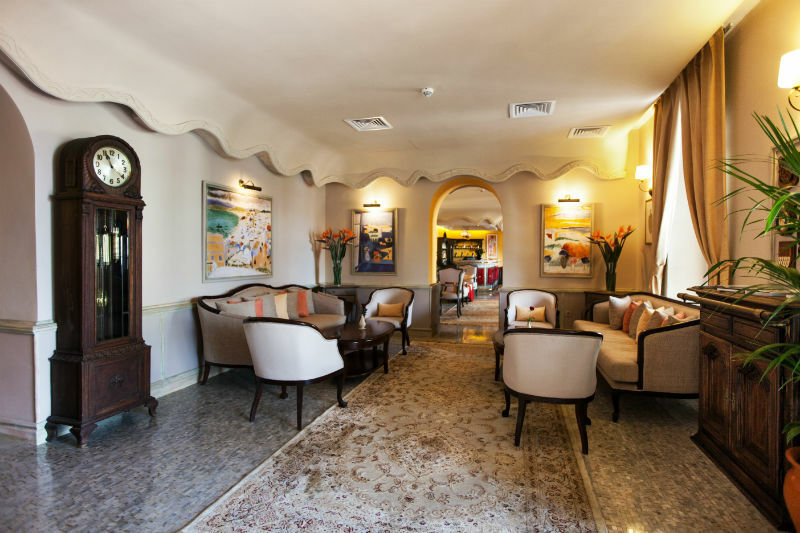 This elegant open-space suite is spread over 30m2 of space. 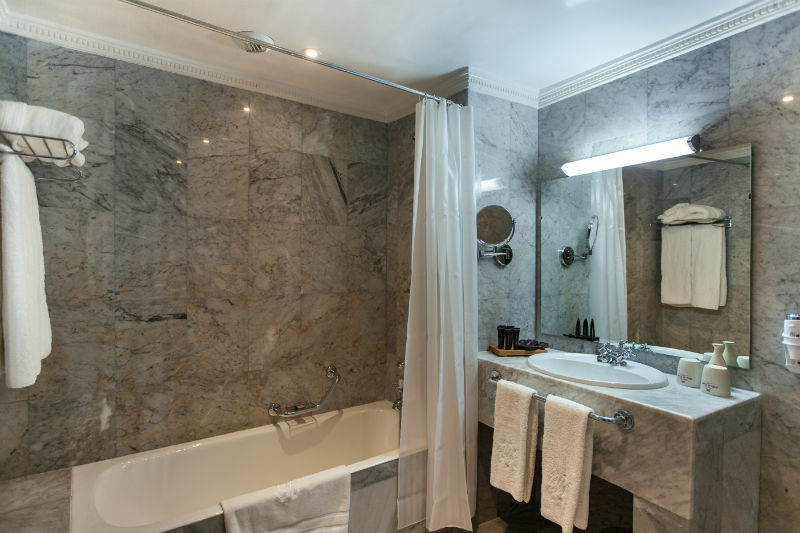 It offers a view of the pool and gardens, as well as a marble-laden bathroom. 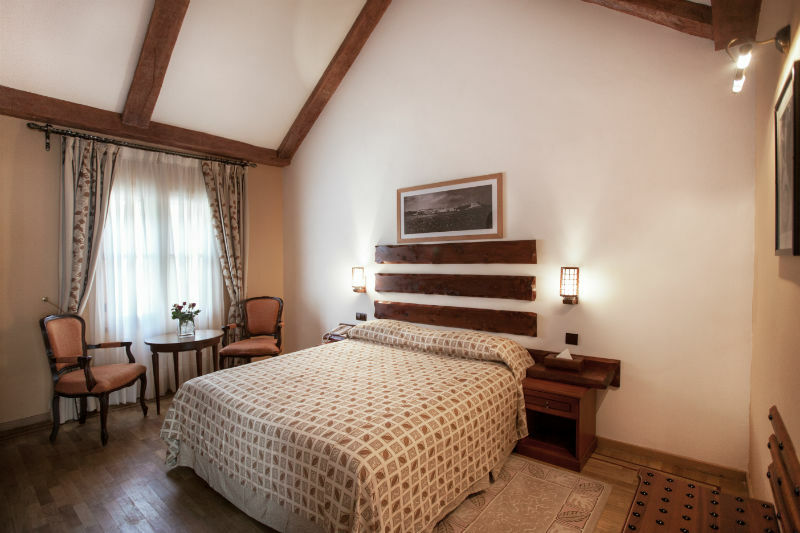 The sleeping area has a large bed with a wood-sculpted headboard, while the living area features a second television set, in addition to an office desk. 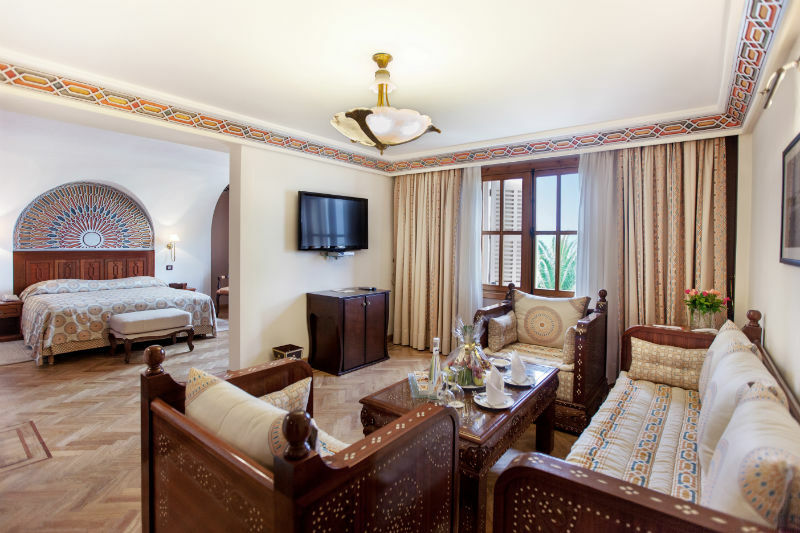 Comfortable, spacious quarters await visitors who reserve a senior suite, as well as a splendid view out to sea. 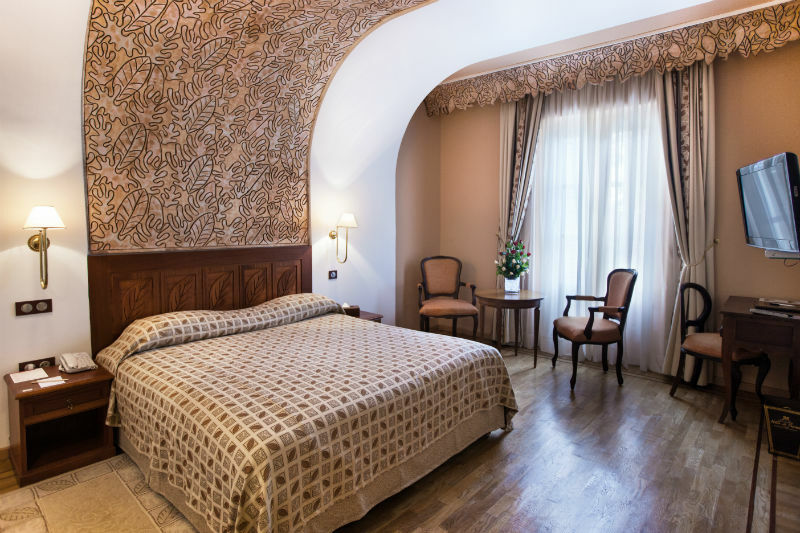 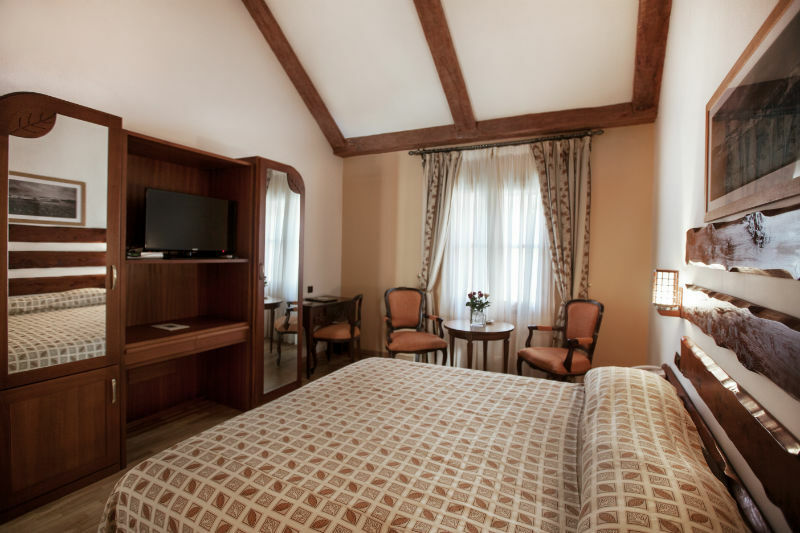 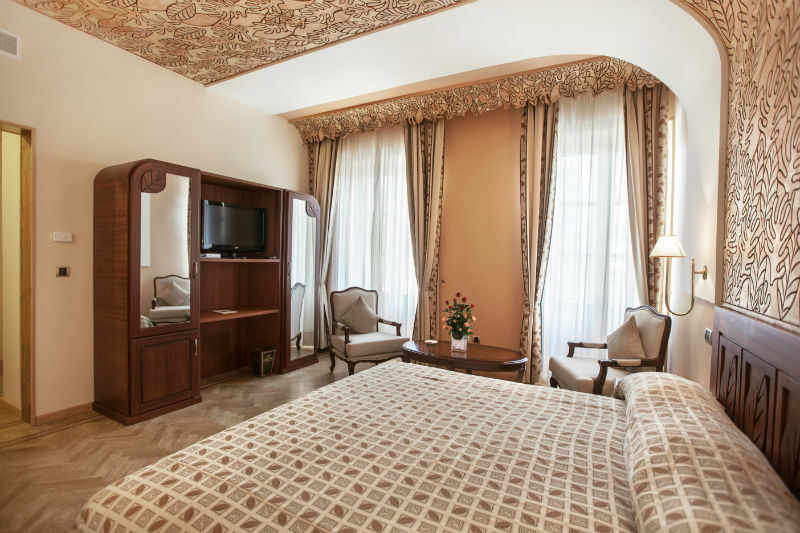 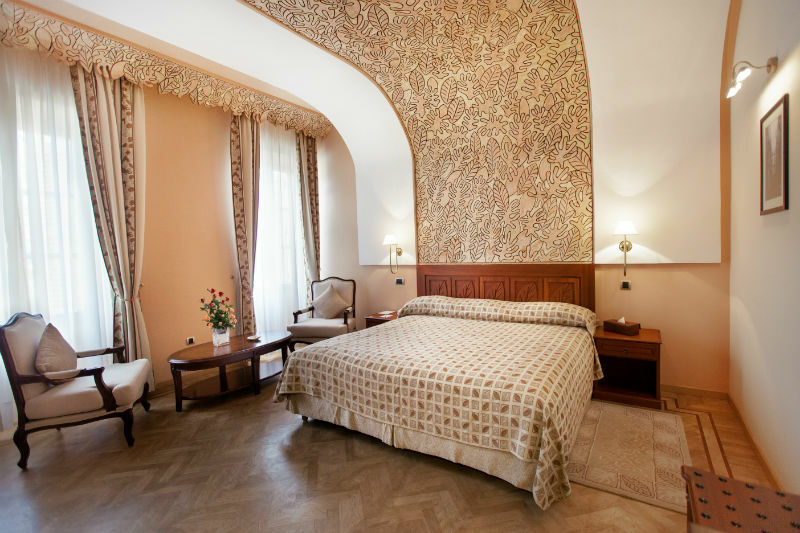 This suite has a separate bedroom with a large bed and an admirable wood-sculpted headboard. 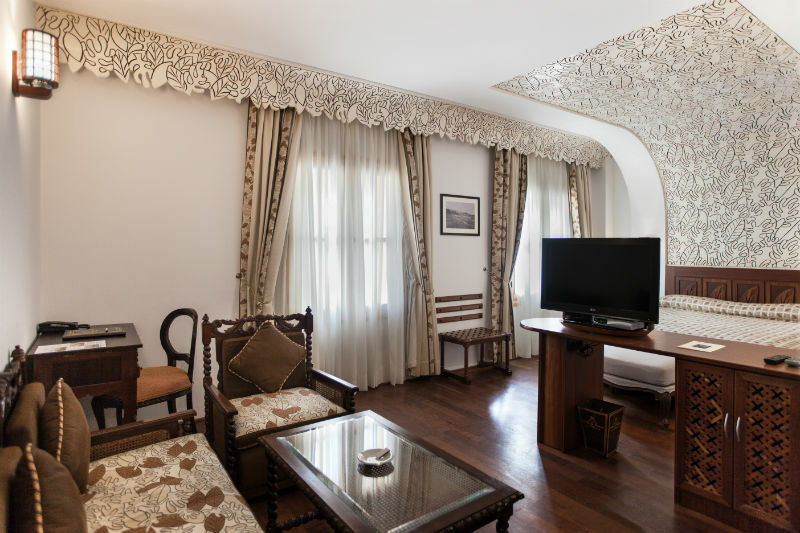 There is also a separate living room with its own television, as well as an office corner. 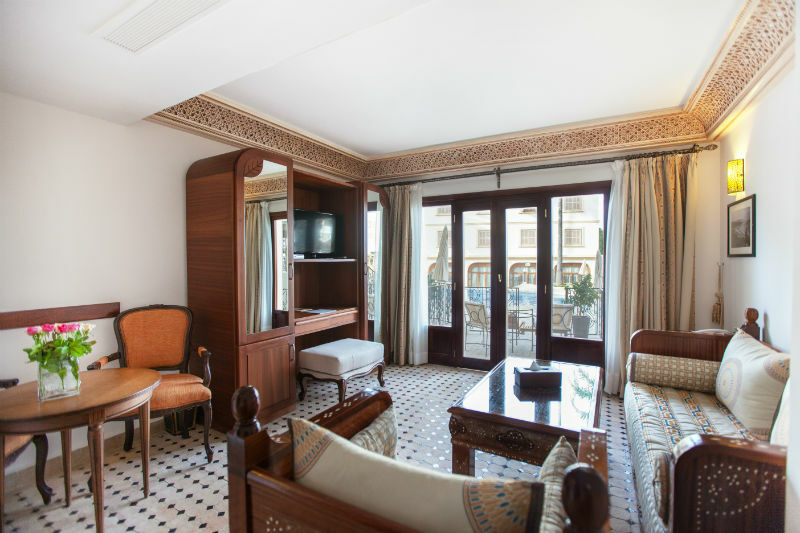 For the ultimate comfort, reserve a luxury suite on two floors, 43 m². 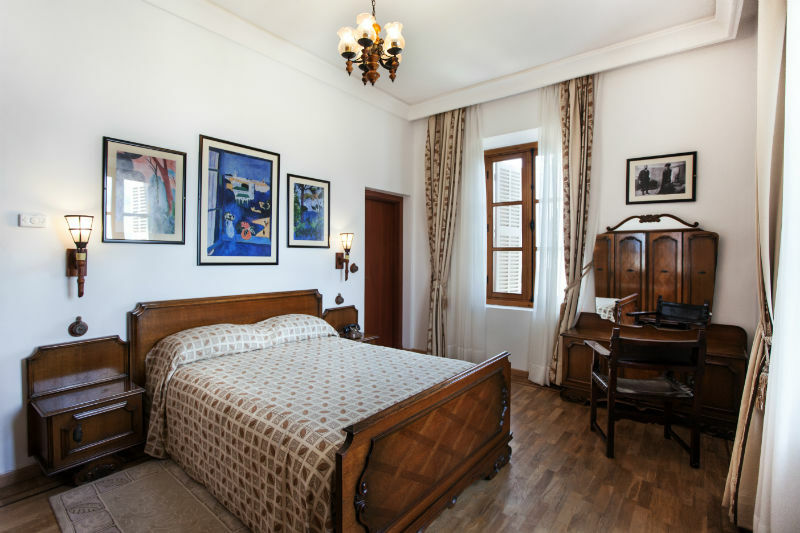 The upper level has a bedroom with a large bed and balcony that overlooks the gardens and pool. 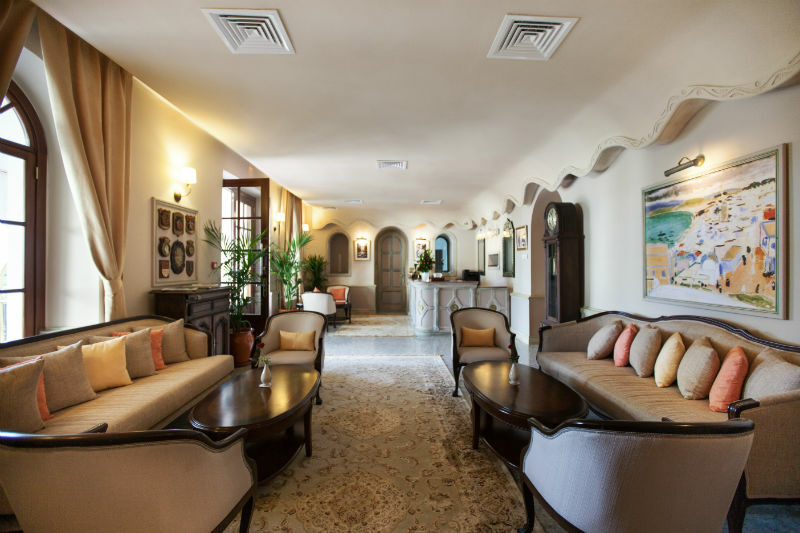 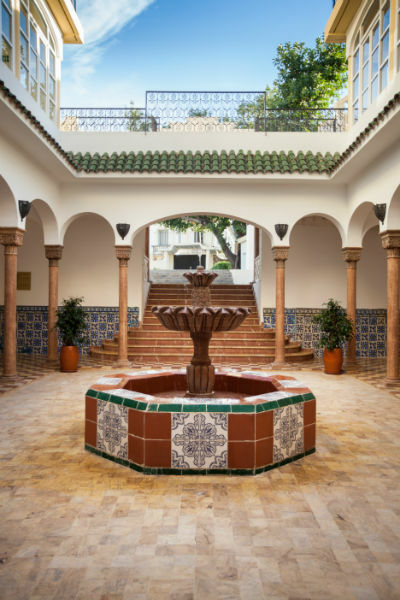 The lower level features a Moroccan-style living area and television viewing area, in addition to a terrace that offers direct access to the garden and pool. 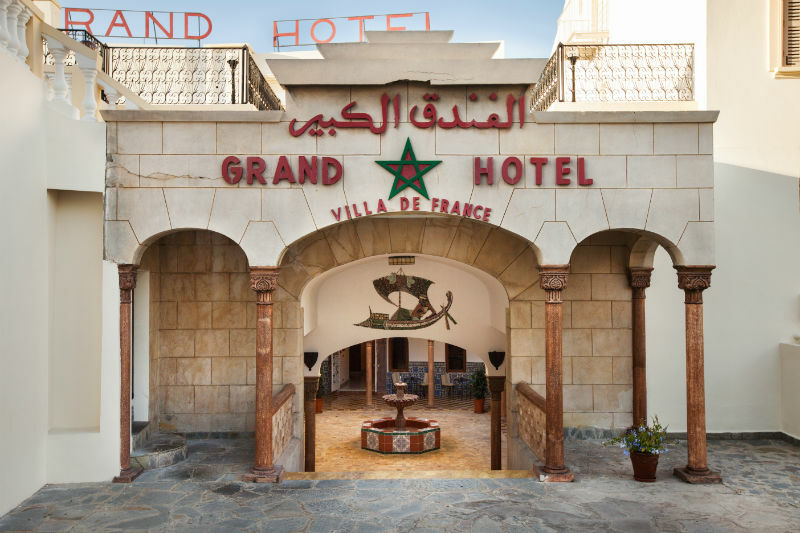 The base rate price at G H Villa de France is in pounds, euros, or Moroccan dirhams and exchange rates are approximate.